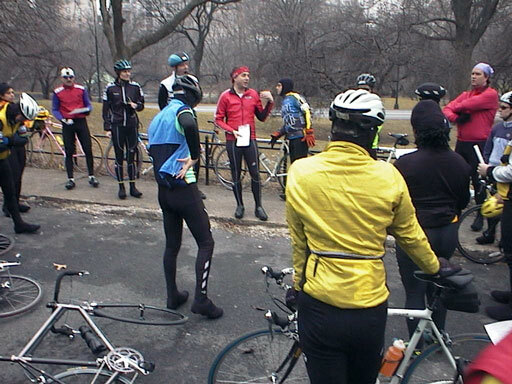 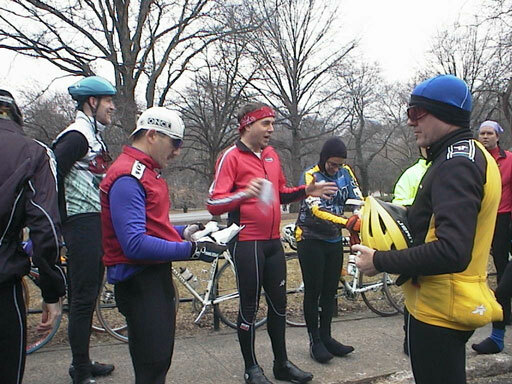 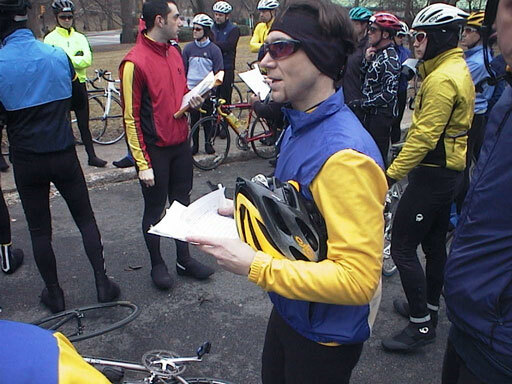 Long, long ago, there was a time when we rolled into Central Park all bundled up against the frigid temperature and listened to a bunch of strangers talk about how to ride a bicycle. 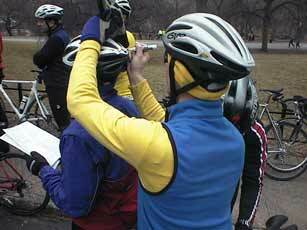 Like anyone needs to learn how to ride a bicycle! 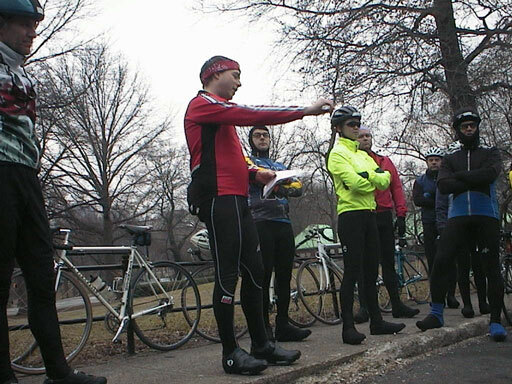 Anyway, there was a leader, Damon, the A-SIG Captain, who laid out the rules. Other A-SIG leaders shuffled their feet and tried to stay warm. 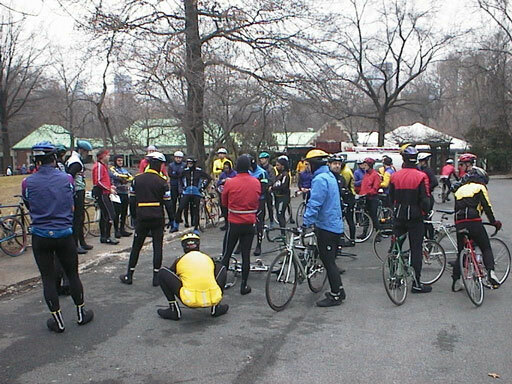 More riders arrived. We came here to ride, not stand around! One leader, Frank, remorselessly made sure that everyone signed the sign-up sheet. Everyone (leaders included) was required to put their name on a piece of tape on the front and back of their helmet. Meanwhile Captn Damon finished his lecture and soon we were on our way, A-SIG 2001 started!